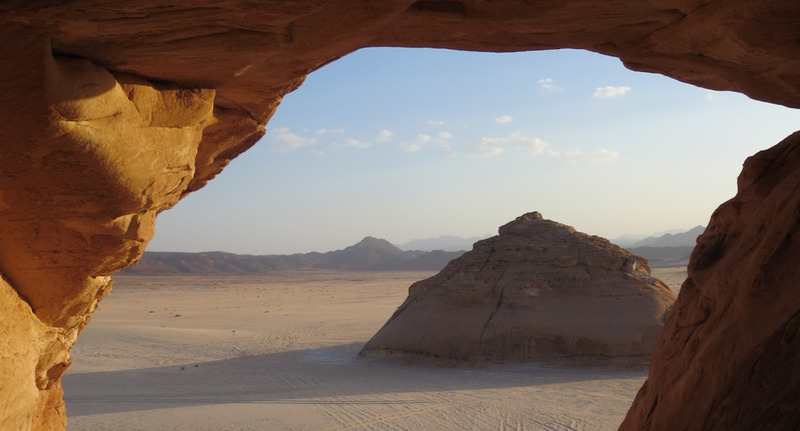 A Secret Compass teammate many times over, one of Glen’s most recent expeditions took him deep into the heart of Egypt’s ancient Sinai desert. 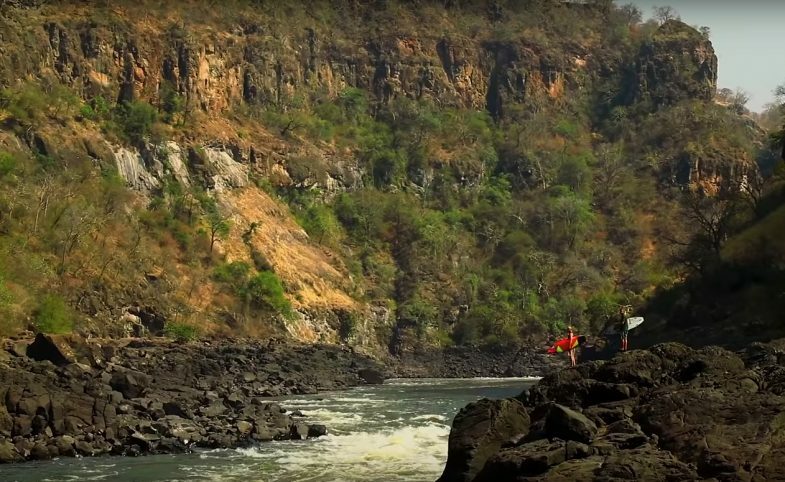 Here, Glen talks to us about the reality of life on this immersive expedition. My name is Glen Downton and I live in Perth, Western Australia. 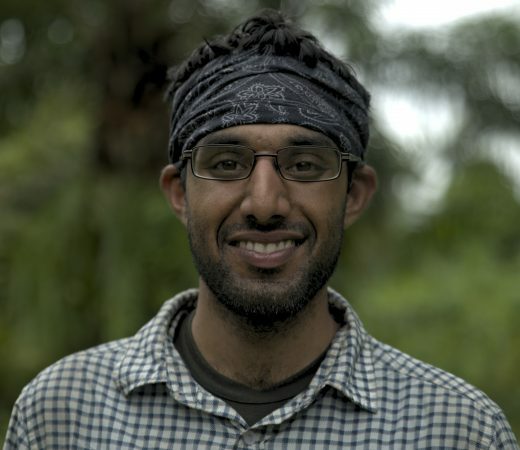 I’ve been a Secret Compass regular since their first expeditions to Afghanistan in 2011. I’ve done six Secret Compass expeds now. 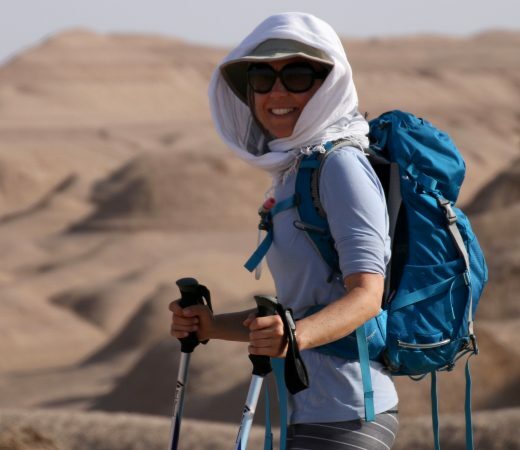 Before that my main travel experiences were a four-month solo backpacking trip around South America, plus some climbing in the Alps and the High Atlas in Morocco. During the Sinai expedition we slept under the stars every night, so we were normally up and moving at first light, although not necessarily awake at that time. Our Bedouin friends would make coffee each morning by grinding beans in a brass mortar and pestle, before roasting them over the campfire. So our morning alarm clock was the rhythmic ringing sound of the beans being ground. The Sinai was very hot during the expedition, so we generally made as early a start as possible to get some miles behind before the heat got too bad. 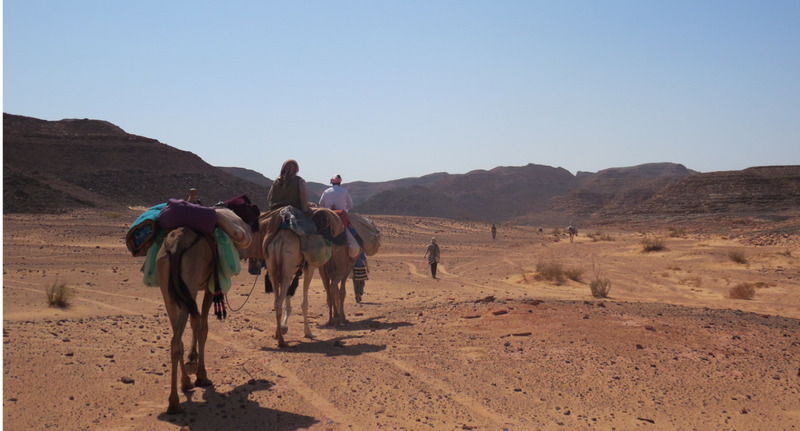 We packed up our bedroll and gave it the Bedouin camel guides, topped up with water, and we were off. It was as simple as that. 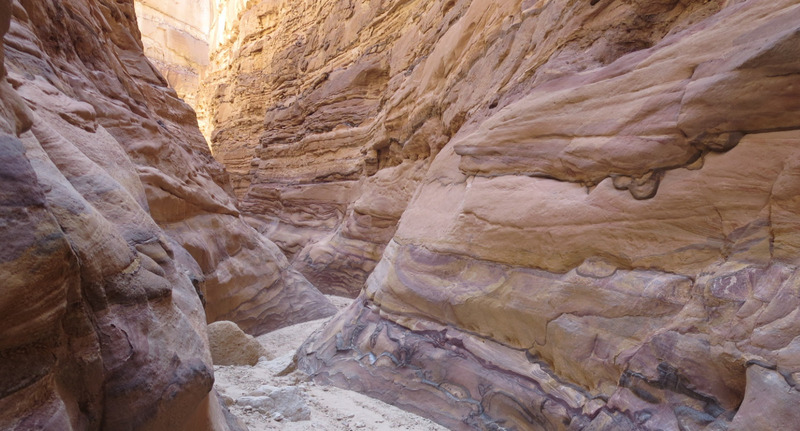 Most of the terrain was through dried wadis; flat and sandy, but reasonably firm under foot. We generally walked for about four hours in the morning, then found whatever shade we could for an early lunch and a nice long rest. 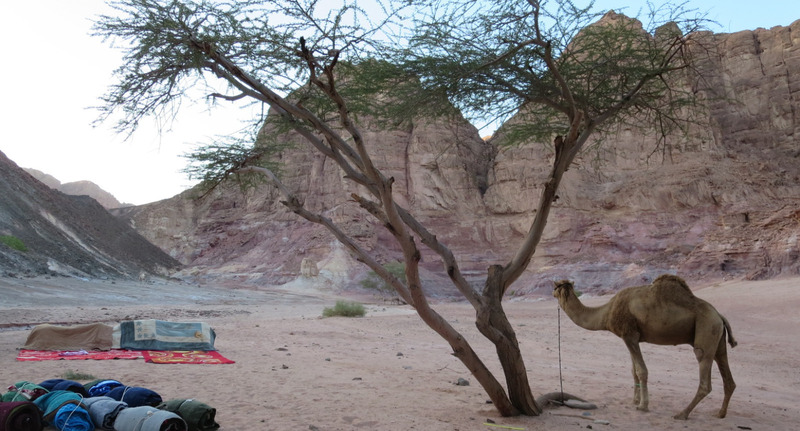 Sometimes this was nothing more than a lone acacia tree, with all of us and the Bedouin crowded underneath it. We would rest for several hours then pack up and head off again mid afternoon to walk until dusk. This way we generally avoided the hottest part of the day. Throughout the trip, “bodily functions”, to put it diplomatically, required finding a spot behind a large rock with some soft sand. Dig a small hole, do what’s necessary, burn the paper (a small cigarette lighter was compulsory equipment for just this task), then make sure the, um, organic matter is thoroughly buried. And remember the hand sanitiser. The food was really good during this expedition. Our team leader Dave is strong on the idea that a team marches on its stomach. Mostly the Bedouin would make fresh flat bread and salsa of tomato, cucumber and onions. They showed us how to make the bread and everyone helping out at lunchtime was one of the highlights of the trip. After lunch, we had a long rest to let the worst of the midday heat pass. Some afternoons were longer than others. Dave and the guides had a good idea of where we would camp for the night. Mostly it was in sheltered spots, or near wells so we could draw more water. We occasionally had local people meet us at our night camps, including getting a couple of food drops. We had two lead guides Nsar and Msallam and two separate Bedouin teams provided camels. They were all amazingly friendly and helpful. We ate with them every night and they were always there with fresh coffee and tea. But it was really a remote trekking experience. Without tents to set up, camp was pretty simple. 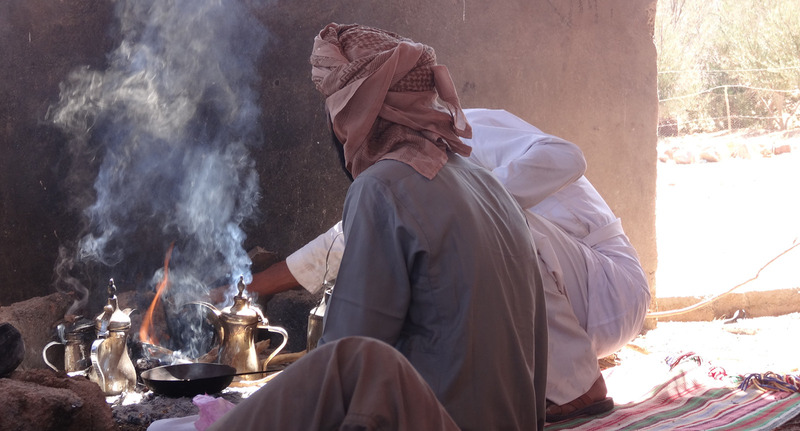 We helped out the Bedouin where we could with preparing the evening meal. Blisters were a constant problem, so we made sure we took care of those. And re-hydrating after a long day as well. Most of the team spent the evening eating and recuperating. As we didn’t need tents, all we slept on were small carpets and a Bedouin cloak. And these were just right. So we found a soft spot, scooped out a little hollow in the sand, put the carpet down and just lay on that in our cloaks. During the first week of the expedition the full moon was up, so the evenings were almost like daylight. There was less moonlight in the second week which meant the milky way was clearly visible. 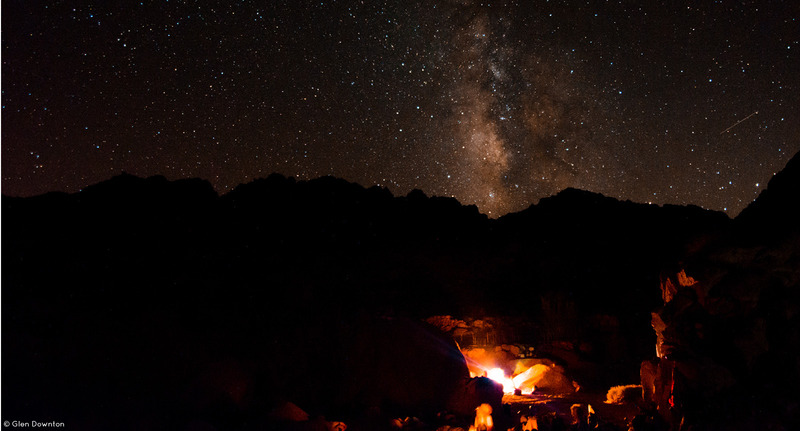 Just lying back and looking at an amazing number of stars each night was a pretty incredible experience. The most challenging point of the the trip was the temperature. Coming from the cold winter at home to then being quite literally dropped into the scorching heat was a bit of a shock. 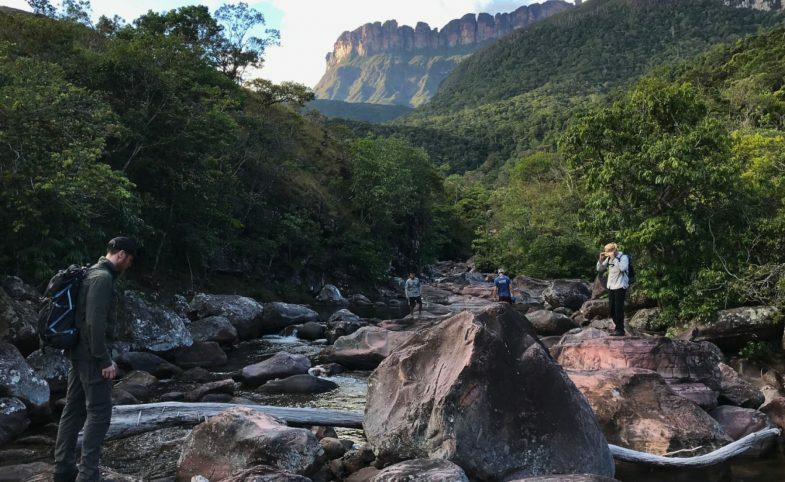 However, after a few days we all acclimatised to the temperature as well as temperatures slightly dropping the further we walked into the middle of the peninsular. The heat was also the cause for my main fitness challenge. As we slowly gained some altitude in the middle of the Sinai peninsula and the days got cooler, it felt easier. There were a couple of days where we had big ascents and descents, but mostly it was pretty flat, easy terrain. Also, we weren’t carrying heavy packs, so that made things easier as well. I felt very prepared before the trip as I always like to do my background research before I go on an expedition. I couldn’t find much information specifically about the Sinai Bedouin history which I would have liked to know more about. In fact, I still would. 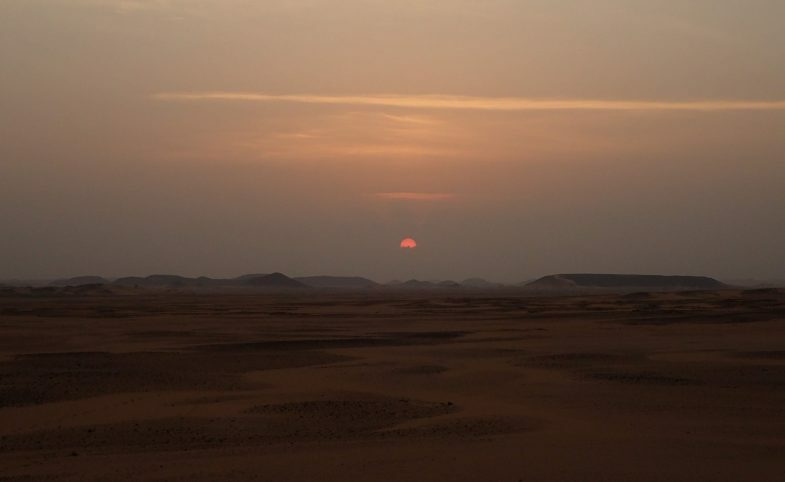 A particular highlight for myself would be during the middle of the expedition when we spent a night at a place called the Blue Desert. It’s so called because many of the rocks there are painted in a distinctive sky blue. Around 1980 a Belgian artist celebrated peace between Egypt and Israel by painting the rocks blue to symbolise peace. Apparently he used about ten tons of paint. We camped there under a full moon, had a great dinner of roasted chicken, and woke in the middle of the night to see a very rare blood moon. That was a pretty memorable night! It was surprising and very sad to find out how much tourism has dropped off in recent years. It was a major industry in the south Sinai, but there are very few visitors there now. Sinai is a very safe destination. And one of the most interesting places I have been to. In addition, it came to my understanding that the Sinai Bedouin have a very rich history of oral storytelling, which I wasn’t aware of before we arrived there. 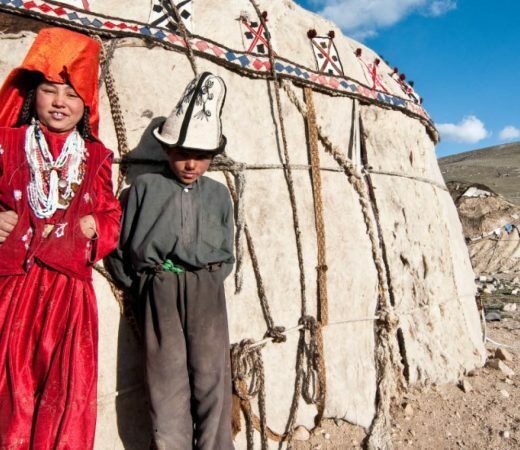 Unfortunately, like many parts of traditional cultures, it is on the decline, along with its tourism. I think it would be a great project to spend some time with them and document their stories somehow as a means to encourage tourism here. If I were to suggest a top kit tip, it would be to ensure you bring enough suncream, as there is never enough in the desert. This also includes insect repellent. Also ensure your boots fit well and comfortably and are broken into. Finally, bring a good camera and a very good sealable bag to keep it in. Written by Glen Downton (@Secret_compass). Photography by Secret Compass (@Secret_compass).